Why is that? $6500 and it cuts off? The weather sealing does not let it cool fast enough apparently. 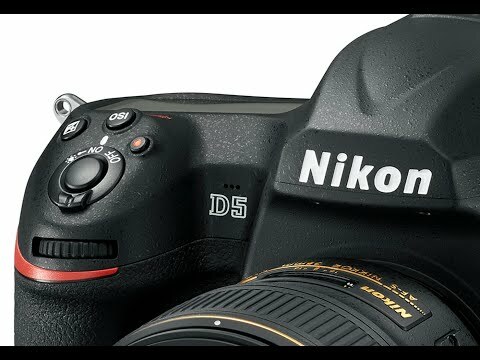 I think that Nikon has calculated that most photographers are after still camera with decent video, not a video camera. Apparently, if you record to externals as Starralazn pointed out, this issue is solved. If you are even moderately interested in video, the compressed H.264/MPEG-4 AVC is useless. You will want the uncompressed 8-bit 4:2:2 out to an external recorder. So for $6500 you get a camera with a thermal design that overheats when using 4K/UHD-XQD, with video quality cut back? Idk what you're getting at. It's a camera, not a video camera. A camera with excellent stills shooting ergonomics, and the added capability to take some minor film footage. Yeah, Nikon is not going to compromise it's primary mission (stills) to meet a secondary mission (video). And if you are really into video, you are not going to be happy with the lenses, most of which have significant focus breathing. I posted this question on another section but nobody commented on it. Has anyone noticed that the D5 is about a HALF A POUND heavier than a D4? D4 = 1,180g; D5 (XQD-Type): 1405g. D5 (CF-Type): 1415g (235g =0.51 lb) I was really expecting a slightly smaller body and definitely lighter weight. I'm genuinely surprised. Is this extra half pound due to radio system for new SB 5000 speedlight? Something else? i read this and another conflicting point that its only 50g more. the d4s at 1180 is without battery? maybe 1356 with? Yeah, batteries in or out, would account for some of this discrepancy but not all. Also, the D5 is about a half a millimeter bigger in size. I assume there's something in there that's not in my D4, something heavy. Half a pound is a significant difference if you have to lug it around your neck all day. @starralazn You are correct. Minus the fact that the older weights were with one card and the D5 weights are quoted with two cards. If I had to guess why: there is a separate processor now for the AF & metering modules, and the shutter also carries its own motor. This is also probably why the D500 appears heavier than one would expect given the carbon-fiber hybrid body. You are using your neck? I use my shoulder. Well, it seems the new Canon 1dxii will have a truncated 4k video capability also (based on a rumor over at Canon Rumors). The Canon fans seem to have forgotten their snide comments about the D5 announcement. Funny how things turn out. To think we have 2 more months to wait before the Beast begins shipping. No idea where I stand in the queue but I'm hoping it's in the initial group. Canon's answer to the D5 has been released. Thoughts? Judging by the native ISO rating it appears that Nikon's sensor will be much better. "4K/60p and Full HD/120p video can also be recorded with virtually no restriction, and with exFAT format support, movie files of larger than 4GB can be recorded without the need to merge files." I agree, Ouch! It's hard to believe the company that first introduced video to DSLRs is so far behind the competition. I say this with the understanding that the D5 is aimed at the professional market but lets face it, who would turn down leather interior in your new car if it was the same price without. Now, do we have an answer yet on the three minute 4K time limit? Will the clips be seamless when placed end to end in post production?